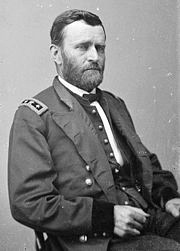 Regarding what caused the Civil War, the President of the United States -- as commander-in-chief and chief executive -- declared that the sole cause of the Civil War was secession. Lincoln chose war to suppress what he deemed a rebellion in the Southern states. 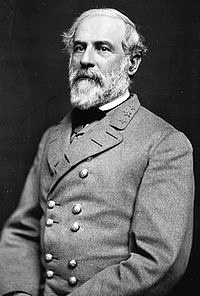 If the South embraced and espoused slavery and if the South stated that the institution, alone, justified war, it was ultimately the President of the United States, possessing absolute responsibility and duty as chief executive for the nation, who, to the contrary, declared war on the South because of secession. As President, Lincoln declared that the South was guilty only of rebellion, and, without the consent of Congress and contrary to pleas from the Supreme Court, Lincoln raised an army and subsequently invaded the Southern states. Moreover, the decision to declare war or to suppress a rebellion, and to state what caused the Civil War, was proclaimed by President Abraham Lincoln himself; and he stated his position for war clearly. In the years before the Civil War the political power in the Federal government, centered in Washington, D.C., was changing. Northern and mid-western states were becoming more and more powerful as the populations increased. Southern states lost political power because the population did not increase as rapidly. As one portion of the nation grew larger than another, people began to talk of the nation as sections. This topic was referred to as sectionalism. Just as the thirteen original colonies fought for their independence almost 100 years earlier, the Southern states felt a growing need for freedom from the central Federal authority in Washington. Southerners believed that state laws carried more weight than Federal laws, and they should abide by the state regulations first. This issue was known as States' Rights and it became a hot topic in congress. Another quarrel between the North and South and perhaps the most emotional one, was over the issue of slavery. America was an agricultural nation and crops such as cotton were in demand around the world. Cotton was a plant that grew well in the southern climate, but it was a difficult plant to gather and process. Labor in the form of slaves was used on large plantations to plant and harvest cotton as well as sugar, rice, and other cash crops. The invention of the Cotton Gin by Eli Whitney made cotton more profitable for southern growers. Before this invention, it took one person all day to process two pounds of cotton by hand, a slow and inefficient method. Whitney's Cotton Gin machine could process that much within a half hour. Whitney's invention revolutionized the cotton industry and Southern planters saw their profits soar as more and more of them relied on cotton as their main cash crop. Slaves were a central part of that industry. Slavery had been a part of life in America since the early colonial period and became more acceptable in the South than the North. Southern planters relied on slaves to run larger farms or plantations and make them profitable. Many slaves were also used to provide labor for the various household chores that needed to be done. This did not sit well with many northerners who felt that slavery was uncivilized and should be abolished. They were called abolitionists and thought that owning slaves was wrong for any reason. They loudly disagreed with the United States Constitution and the South's laws and beliefs concerning slavery. Slavery, however, had been introduced, embraced, and protected by the U.S. Constitution many years before the Civil War. Slavery eventually became an important part of the Southern way of life and was protected not only by state laws, but Federal law as well. The Constitution, moreover, guaranteed the right to own property and protected everyone against the seizure of property. A slave was viewed as property by the United States and was important to the economics of the Southern cotton industry. So, the people of the Southern states did not appreciate Northern people, especially the abolitionists, telling them that slave ownership was a great wrong. This created a great amount of debate, mistrust, confusing and misunderstanding because the North, or United States, introduced slavery to America. Now the United States had changed its mind and no longer approved of slavery, but, on the other hand, the U.S. Constitution still permitted slavery. The South was confused as to why the Constitution allowed slavery, but the United States was now condemning it. As the nation grew in size, so did the opportunities for expansion westward. Many felt that slavery should be allowed in the new territories such as Kansas and Missouri, while others were set against it. This led to "Bleeding Kansas", a bitter war that pitted neighbor against neighbor. In 1859, a fanatic and radical abolitionist from Kansas named John Brown raided the Federal armory at Harpers Ferry, Virginia, in the hopes of supplying weapons to an army of slaves that would revolt against their southern masters. A number of people were taken hostage and several murdered, among them the mayor of Harpers Ferry. Brown was cornered with several of his followers in a fire engine house, first by Virginia militia and then by Federal troops sent to arrest him and his raiders. These troops, commanded by Colonel Robert E. Lee, stormed the building and captured Brown and several of his men. Brown was tried for his crimes, found guilty of many crimes including murder, and was hanged in Charlestown. Though John Brown's raid had failed, it fueled the passions of some northern abolitionists who made him a martyr. It was reported that bells tolled in sympathy to John Brown in some northern cities on the day he was executed. This inflamed passions in the South where southern leaders used the incident as another reminder how little the South's interests were represented in Federal law, labeled as sympathetic to runaways and anti-slavery. The debate became very bitter. Southern politicians outwardly charged that their voices were not being heard in congress. Some Southern states wanted to secede, or break away from the United States of America and govern themselves. Emotions reached a fever pitch when Abraham Lincoln was elected President of the United States in 1860. He was a member of the Republican Party and vowed to keep the country united and the new western territories free from slavery, but Lincoln vowed to allow slavery to continue in the South and in Washington, D.C. Many Southerners, who were Democrats, were afraid that Lincoln was not sympathetic to their way of life and would not treat them fairly. The growing strength of the Republican Party, viewed by many as the party friendly to abolitionists and northern businessmen, and the election of the party's candidate was the last straw. Southern governors and political leaders called for state referendums to consider articles of secession. South Carolina was the first state to officially secede from the United States soon after the election and they were followed by six other Southern states. These states joined together and formed a new nation which they named the Confederate States of America. They elected Jefferson Davis, a Democratic senator and champion of states rights from Mississippi, as the first president. On April 12, 1861, the Confederate States of America attacked Fort Sumter, South Carolina. The fort sits at the entrance to Charleston Harbor and was manned by Union troops who flew the United States flag. The bombardment lasted many hours and the fort was heavily damaged, though no one was killed or injured. Major Robert Anderson surrendered the fort and its garrison to the Confederate commanders. Now that open conflict had started, President Lincoln responded with a call for volunteers from states still loyal to the Union, to enlist and put down this treacherous act of rebellion. Alarmed that Lincoln would do this, four more Southern states seceded and joined the Confederacy. The war that President Lincoln had tried to avoid began anyway. War talk was on everyone's lips and sharp divisions took place, even among families and neighbors. However, the principal or main cause of the Civil War was Secession itself. At first, no one believed the war would last very long. Some people said it would take only a few months and the fellows who volunteered to fight would come home heroes within a few weeks. No one realized how determined the South was to be independent, nor did the South realize how determined the North was to end the rebellion. Armies had to be raised in the North and the South, and every state was asked to raise regiments of volunteers to be sent for service in the field. Many young men chose to enlist and volunteered for military service. In the South, men readily went to war to protect their homes and save the Southern way of life. Most did not believe that the government in Washington was looking out for the South's interests and they were better off as a new nation where the states would make up their own laws. Many were happy to be called rebels because they thought they were fighting against a tyrant like their forefathers did against the British during the American Revolution. Northern men volunteered to put down the rebellion of southern states and bind the nation back together. Some felt that the Southerners had rebelled without good cause and had to be taught a lesson. Some also felt that slavery was an evil. So, 'after' the war started, Lincoln used the war as justification to abolish slavery. No one knew how terrible war really was and how hard life as a soldier could be. They did not have television or radio to communicate the terrible things that could happen. Politicians did not communicate either, which was one of the main reasons for the war and misunderstandings between North and South. The armies were raised and marched off to war. It was only after many battles and many lives were lost that the American people realized how horrible war really was. The soldiers communicated with their families and loved ones and told them of the hardships they endured and terrible scenes they had witnessed. Who was to blame for the Civil War? Some blamed the South because it had left the United States, while others blamed President Lincoln because he had invaded the South with large armies. The fighting of the American Civil War would last four long years at a cost of 620,000 killed. In the end, however, the Northern states prevailed- our country remained united, and the Federal government was changed forever. Even today, the causes of the war, who started the war, and even the name of the war itself are subjects of debate. What Caused the Civil War, Southern Secession, States' Rights, or Slavery? From John Brown's raid to Reconstruction, Eyewitness to the Civil War presents a clear, comprehensive discussion that addresses every military, political, and social aspect of this crucial period. In-depth descriptions of campaigns and battles in all theaters of war are accompanied by a thorough evaluation of the nonmilitary elements of the struggle between North and South. In their own words, commanders and common soldiers in both armies tell of life on the battlefield and behind the lines, while letters from wives, mothers, and sisters provide a portrait of the home front. More than 375 historical photos, portraits, and artifacts—many never before published—evoke the era's flavor; and detailed maps of terrain and troop movements make it easy to follow the strategies and tactics of Union and Confederate generals as they fought through four harsh years of war. Photoessays on topics ranging from the everyday lives of soldiers to the dramatic escapades of the cavalry lend a breathtaking you-are-there feeling, and an inclusive appendix adds even more detail to what is already a magnificently meticulous history. If you purchase one book this year, this is it. RATED 5 STARS by americancivilwarhistory.org. About the Author: Neil Kagan, editor, heads Kagan & Associates Inc., a firm specializing in innovative illustrated books, and is the guiding spirit behind numerous book series including Voices of the Civil War and Our American Century. Recently, he edited Great Battles of the Civil War, Great Photographs of the Civil War, and National Geographic Concise History of the World. He lives in Falls Church, Virginia. Stephen G. Hyslop is a writer and editor of books on American and world history, including National Geographic Almanac of World History (with Patricia Daniels). He served as editor for the history series Time Frame, What Life Was Like, and American Indians. He is a contributing writer for History Channel Magazine.